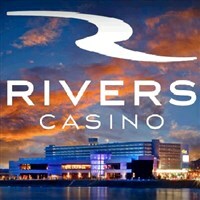 Winner of Best Overall Gaming resort, Rivers Casino is the best qentertainment destination on Pittsburgh's North Shore. Try your luck at one of their 2,900 slot machines, 100-plus tables, and 30-table poker room. Casino Bonus: $25 free play per person age 21 or older. Includes: Transportation and casino bonus. One-Day - Cancellation and Refund Policy: 30 days prior to departure - Full refund less any non-refundable charges (i.e. theater tickets, service fees, etc.) unless notification of difference is noted on tour description. NO REFUND after 29 days prior to departure. Written notice of cancellation is required before monies refunded: mail, email or fax. Note: Valid State or Federal Photo I.D. required at the casino to receive Casino bonus. Passengers must be 21 or older. Bonus is an offering by the casino and is subject to change without notice. Price subject to change without notice. Walking Code: 1 - This tour involves minimal physical activity. It requires climbing of some stairs, boarding the motorcoach and walking from a parking lot area to the attraction.